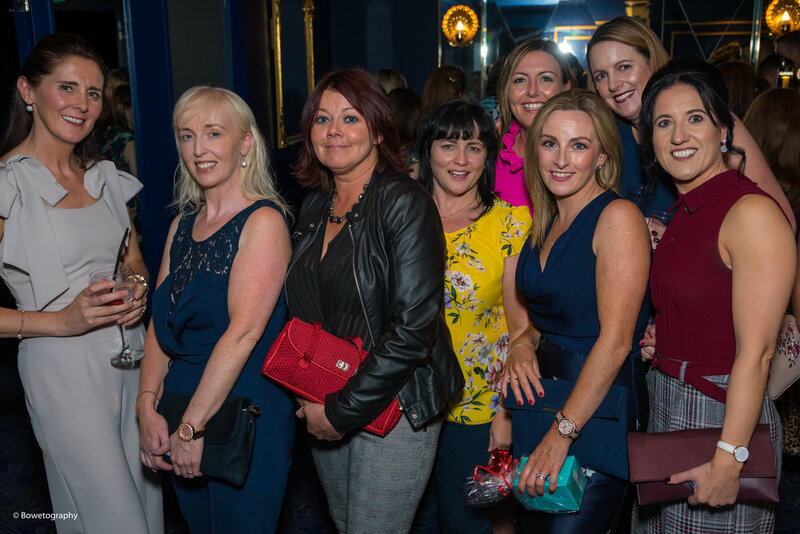 After months of organisation from an amazing committee, Tomás and friends sparkled at the g on the 14th September 2018 in the g hotel, Galway. Guests arrived at 7 pm for a Prosecco Reception along with a meet and greet with the Corofin Football Team, this years All Ireland Club Championship Winners 2018. 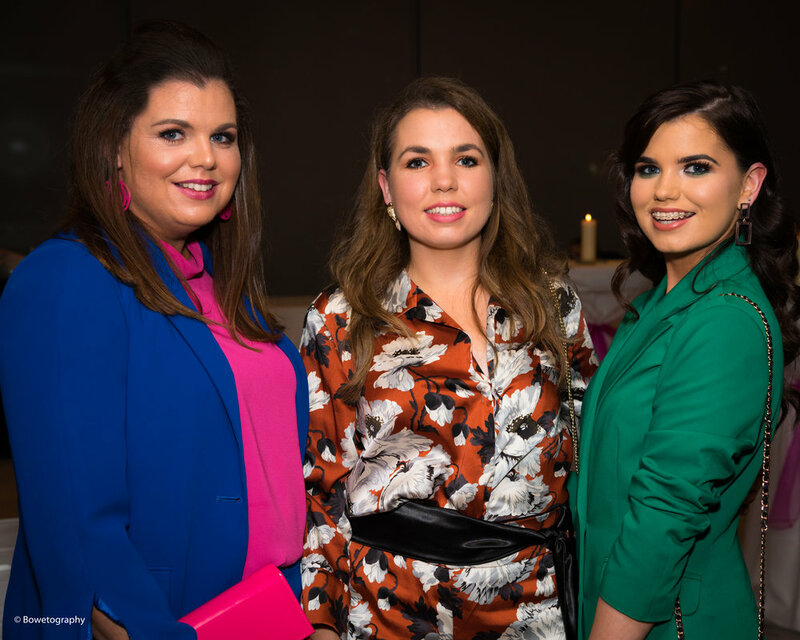 Adding life and soul to the event was an array of fabulous pop-up shops, all out for the evening support Tomorrow For Tomás Trust. Thank you so much for your support. Surrounded by a bunch of fabulous ladies.... it’s Simply Chic Hat Hire showcasing a selection of her stunning head pieces. Thank you for your support. Tomás got to experience a day in the life of his hero Fireman Sam as he arrived in style thanks to Fire & Rescue Galway. 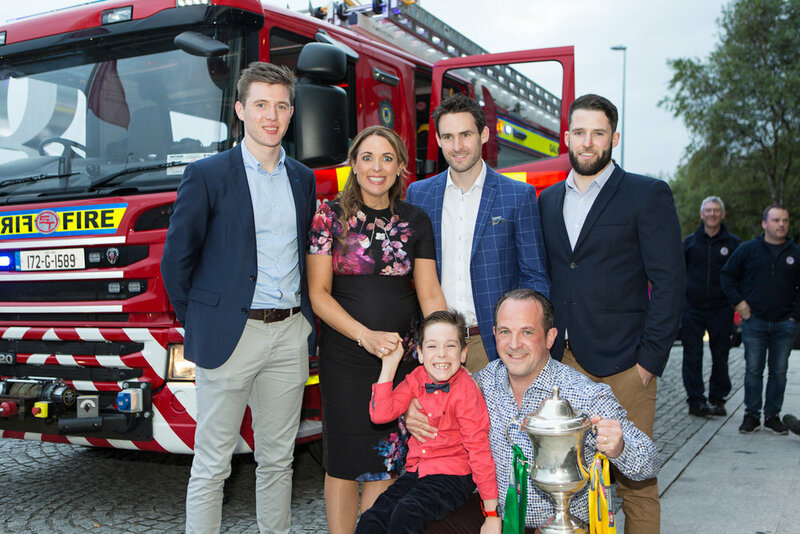 It was like a scene from the movies as Tomás and his dad Shane disembarked from the big red fire engine with lights flashing and horns beeping as the paparazzi were out in their droves snapping this special moment. 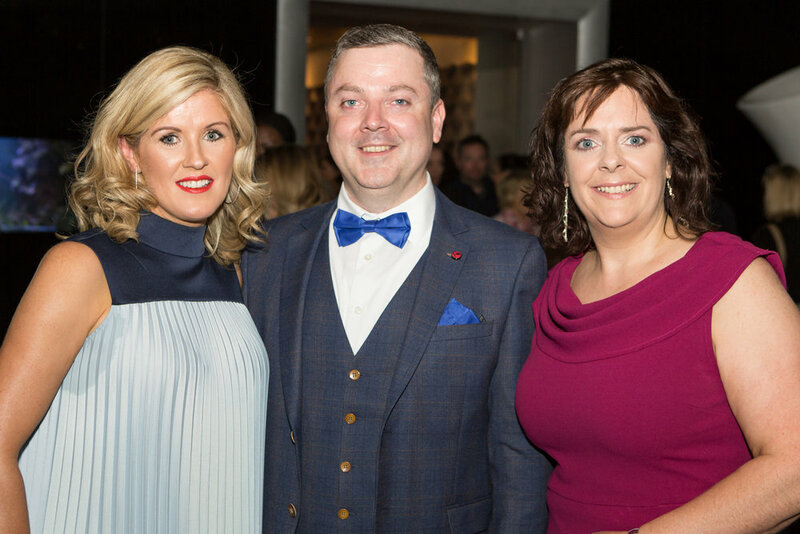 Waiting with open arms was the legend Ronan Larder, Galway Bay FM and Queen of Style Mandy Maher, Catwalk Modelling Agency bringing Tomás excitement to a whole new level (if that’s possible). With an opening speech that would bring a tear to your eye Ronan Lardner, Galway Bay FM set the tone for the night, filling the room with lots of love and inspiration with such beautiful words about Tomás and the hero’s of the night his parents Ann-Marie & Shane. With a glamours audience eager to see what fashion and style was in store the wonderful Mandy Maher and her fabulous catwalk models took to the runway to deliver another exciting night of exquisite fashion and style from all our favourite boutiques, Award Winning Milliner Caithriona King, Fashion Designer Gillian Murphy, Revive Clothing and the stunning Rose Of Galway Deirdre O'Sullivan was sparkling as always. Back again this year and looking as dapper as ever Dermott Langan did an excellent job as compere. He delivered an insightful look into each of the boutiques, knew the models by name and added lots of fun and charm to Sparkle at the g.
Round of applause for the talented, funny and all round nice guy Aidan Tierney, Tierney Talks and his side kick for the night the beautiful Caroline from Carried Away PR. Aidan took his impressions of well know celebrities and personalities to the next level. Everyone enjoyed over 10 minutes of laugh out loud moments. Catching the attention of Judge Shin Hayes, Thinking Out Loud best dressed lady and gent were invited to the stage by Sinéad. Best dressed lady Paula Devaney accepted a stunning piece of jewellery from Blacoe Jewellery and best dressed man Paul Hogan was presented with a prize from Hanley’s Menswear. Congratulations Paula and Paul we hope you enjoy your prizes. 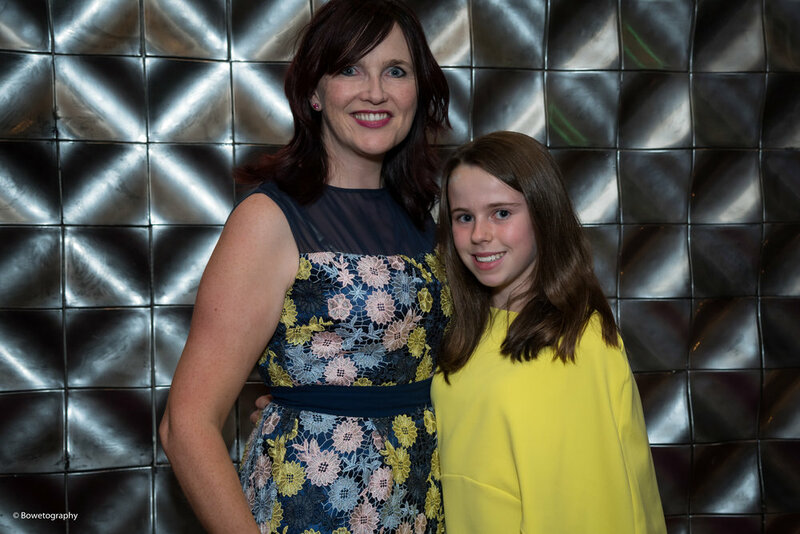 A BIG thank you to Shin Hayes for travelling from Cork with her husband to be with us at Sparkle at the g.
Without the contributions from our generous sponsors Sparkle at the g would not be possible. Therefore we would like to gratefully thank Specsavers Eyre Square Centre Galway, O'Donnellan and Joyce Auctioneers, Audi Galway, Galway Water and Partyfx by Loopy Lou. As well as our amazing sponsors we would also like to acknowledge Blacoe Jewellers and Hanley's for their amazing contributions. We'd like to say a massive thank you to everyone who donating so many amazing prizes for Sparkle at the g fundraiser. All funds in aid of Tomorrow For Tomás Trust. Your support and generosity is deeply appreciate. You will find a full list of sponsors and prizes HERE. 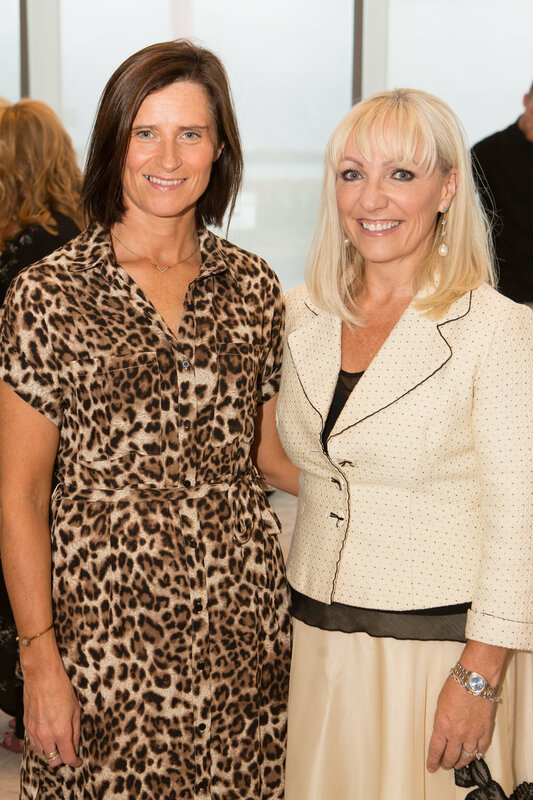 Also thank you to everyone that placed a bid on the stunning piece of art kindly donated by Vanda. Congrats to Cindy Duggan who was the highest bidder and thank you for your donation. And finally thank you to all the team at the g hotel for a great job and to each and every one who supported Sparkle at the g Fashion Fundraiser in aid of Tomorrow for Tomas Trust. Thank you for continued support and love. The funds raised will go towards making Tomás’s home accessible for his new wheels, with adaptions costing in the region of €100,000.